Janet Cox-Singh (JCS) is a research scientist working on malaria. She was fortunate to be instrumental in the discovery of the entry of Plasmodium knowlesi, a malaria parasite adapted to old world macaques, into the human population of Southeast Asia. JCS conducted her doctoral research on Plasmodium chabaudi, an animal model for malaria, in the Liverpool School of Tropical Medicine (LSTM). 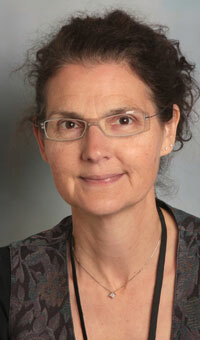 Her early postdoctoral research in LSTM was on Brugia pahangi, a model for lymphatic filariasis. She then accepted a lectureship in University Sains Malaysia where she continued her work on lymphatic filariasis and also molecular epidemiology studies tracking the emergence of drug resistance in Plasmodium falciparum. In 1999 JCS moved to University Malaysia Sarawak (UNIMAS), Malaysian Borneo where the entry of P. knowlesi was discovered. Naturally acquired P. knowlesi malaria was new. The UNIMAS team produced the first clinical descriptions of knowlesi malaria and soon discovered severe and fatal infections. In 2008 JCS returned to the UK as a Senior Research Fellow, St George’s, University of London, to address the question: Why do only some people infected with P. knowlesi develop severe disease? In 2012 Janet Cox-Singh accepted a Senior Lectureship in infection, University of St Andrews, Scotland where she continues her research on P. knowlesi and the pathobiology of severe malaria.